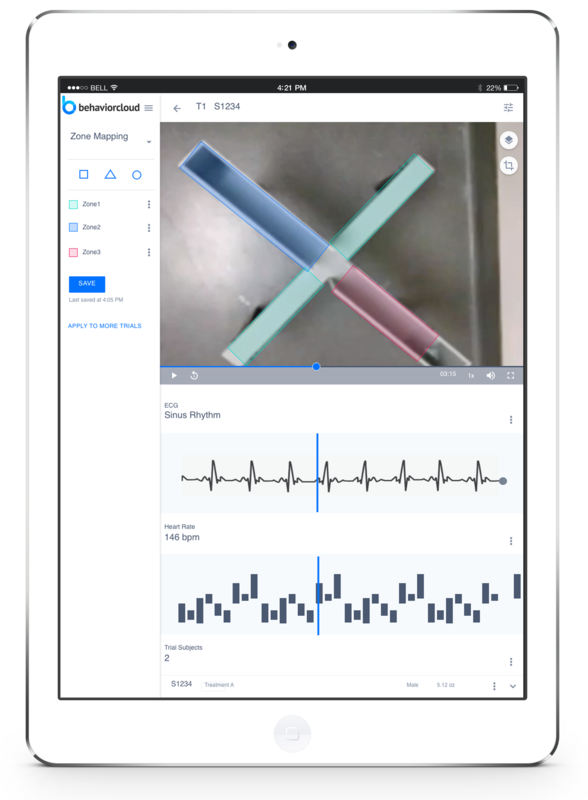 Collect data from your existing lab instruments by connecting a BehaviorCloud Bridge or collect video data using the BehaviorCloud Camera app. BehaviorCloud automatically recognizes your paired instruments and presents the relevant settings to run your experiment. Your raw data stream to your BehaviorCloud account in real-time, so they are accessible for review and analysis from anywhere just by logging in to your secure account. The Bridge lets you stream photobeam-based activity data to your BehaviorCloud account, where it's available for analysis and sharing. Great for tracking rodents and other animals in the home cage or open field for behavioral studies. The BehaviorCloud Camera app streams and records video to your account. It's a convenient and mobile method for recording behaviors for downstream analysis with BehaviorCloud's computer vision activity tracking or behavioral coding tools. Stream physiological data from implanted telemetry systems to your account. Combine with other data streams for multi-dimensional phenotyping.